Reverie's Carbon Fibre sheet is suitable for a multitude of applications from cars to flooring to boats to decorative trim. Our Carbon Fibre sheet is Autoclave cured for superior stiffnesses and finish. Our sheets are available in a wide range of thickness from 0.3mm to 3.0mm. 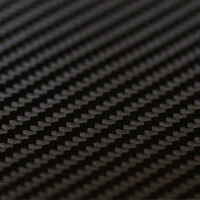 Or alternatively view our full range of Carbon Fibre sheets.